Invictus is great. My wife loves it I'm planning on getting the other two because of this one. 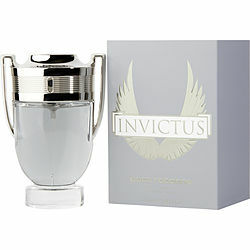 Invictus intense and Invictus oqua are also great. This is a great fragrance. I have people asking me all the time who am I wearing. I highly recommend this cologne. I will most definitely continue to buy this. my friend recommended this . it really awesome i definitely buy again.